SXSW Film is a force to be reckoned with. It's more than a week of premieres, exclusive screenings, comedy, horror and everything in between. The Texan's veteran movie reviewer Alex Pelham has committed to gluing his eyes to the big screens across Austin, taking in as much as he can, so that you don't have to . Armed with our reviews, you can be a little more selective when you head to the theaters. Below, you'll find a comprehensive list of all the Texan's movie reviews we've written during SXSW 2015. Read them, and let us know: Do you agree? Disagree? Did we miss anything particularly wonderful? Let us know by tweeting at @thedailytexan, and find Alex for more in-depth movie reactions at @talkingofpelham. The Final Girls: As Joss Whedon’s “Cabin in the Woods” has demonstrated, the concept of a “meta-horror film” works. With its hilarious insight into campy horror flicks and its strong, emotional characters, “The Final Girls” exceeds expectations of a growing genre. Read more here. Manglehorn: “Manglehorn,” starring Al Pacino, is a slow slog of a film. The narrative is hazy and unfocused, and the film tries to be artsy with its grating narration and odd, gimmicky editing. Read more here. Ex Machina: “Ex-Machina” is a film that plays with the idea that there is a muddled difference between human and machine. The film is brilliantly tense, with chilling performances by all the lead characters. Read more here. He Never Died: Never before has a film featured a vicious cannibal who seems so pleasant. The film serves as an excellent noir with great characters and fun, over-the-top action. Read more here. My Name is Doris: “My Name is Doris” proves that it’s impossible not to love Sally Field. The film also brilliantly mocks the common stereotypes of the hipster culture. Read more here. 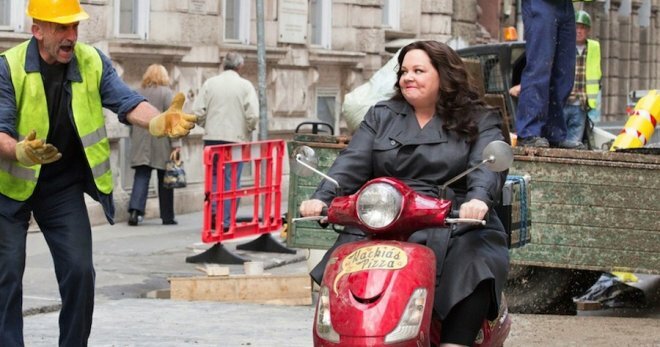 Spy: It seems obvious that “Spy” was produced as a star vehicle for comedian Melissa McCarthy. Reteaming with writer and director Paul Feig, whose gut-busting screenplay propels the film to extraordinary levels, the actress finally steps into a leading role that allows her to use her personality to mock the spy film genre. Read more here. Heaven Knows What: ​“Heaven Knows What” does the job that numerous DARE programs failed to do. It shows just how drugs can destroy lives and reduce people to soulless streetwalkers that only submit to bags of heroin. The actors do a fantastic job displaying the desperation of these characters. Read more here. The Invitation: “The Invitation” starts off really slowly and focuses on social anxiety and the uneasiness of being in an enclosed space with strange people. It’s not until about the last 15 minutes that the film shift gears and turns insane. Read more here. Get Hard: “Get Hard” takes a tried-and-true premise, one where a satisfied, upper-class weakling is sentenced to a long stint in prison, and drives it mercilessly into the ground. Leading men Will Ferrell and Kevin Hart clearly deserve better than this unfunny buddy-comedy. Read more here. 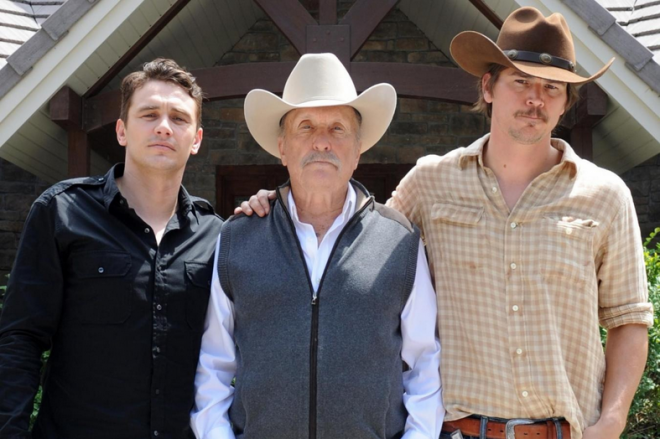 Wild Horses: “Wild Horses,” the latest offering from director and actor Robert Duvall, attempts to capture the essence of the Texas spirit while juggling a dark crime-drama at the same time. Most of the actors manage decent performances, but an unfocused story weighed down by unnecessary subplots ultimately results in an unenjoyable, disjointed film. Read more here. 7 Chinese Brothers: “7 Chinese Brothers” is one of those films that focuses on its central character so much that it seems to lose interest in its plot. This wouldn’t be a major an issue if that character was interesting. Read more here. Lamb: Lamb's discomforting premise will make audiences think about unusual bonds, and the brilliant performances from its lead actors will further leave you questioning your own convictions about love. Read more here. Ava's Possessions: “Ava’s Possessions” has a brilliant premise, one which explores the consequences of someone who has undergone demonic possession. Unfortunately, the actual story fails to live up to such an original setup. Read more here. Creative Control: “Creative Control” is a wonder visual experience. The big issue with the film is that the characters feel unengaging. It’s difficult to connect with them, as their personalities are easily overshadowed by the tech that they wield in their hands. Read more here. The Boy: Director Craig Macneill tries his hardest to make the disturbing transition the titular character in “The Boy” undergoes very subtle. The trouble is, that transition is too subtle. Though the acting is remarkable, “The Boy” dives into a dull tale of a boy who experiences an unconvincing transformation into a vicious creature. Read more here. 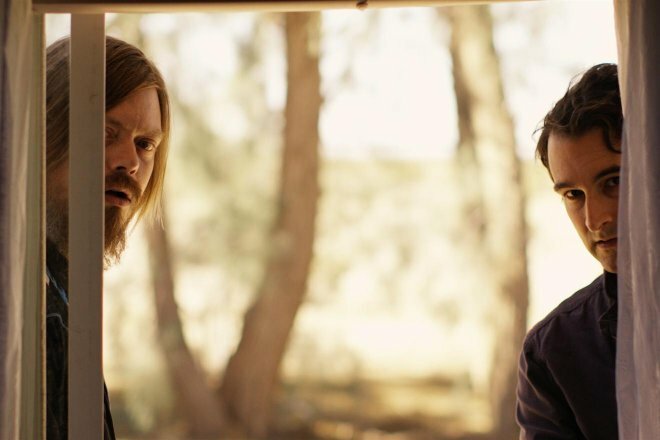 Manson Family Vacation: “Manson Family Vacation” uses the story of infamous criminal Charles Manson as a backdrop for a surprisingly poignant tale of forgiveness and reconciliation. Director J. Davis incorporates a critique of the idolization of horrific people but focuses more on the characters than on Manson himself. After a full week of SXSW, our reviewer is finally going to get some rest. He'll be back reviewing movies soon — follow him at @talkingofpelham, and look for his regular movie reviews here.